Today’s homeowners can easily be left stuck like sitting ducks when confronted with record high energy prices. Think about it. No one would buy a new car without a fuel gauge, a speed dial and an odometer. People need to know when to refill the fuel tank, when to slow down or speed up, and how far they’ve travelled. 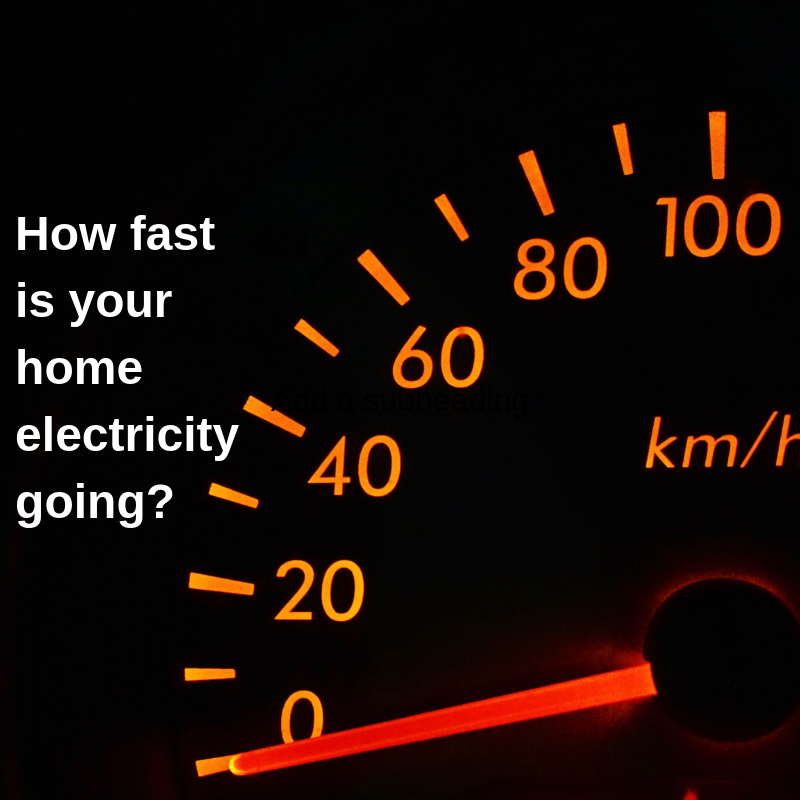 People also need to know how fast their home is running. They’ll appreciate moving into a new home that from Day 1 can tell them how it is using energy. In the internet age, full of intelligent devices and apps that support everyday lifestyles, people can justifiably expect more from their home – which for most is the biggest investment they will ever make. In this era of high energy prices – and with more choice for householders than ever before in terms of where they can get their energy from, how they use it and what they pay for the privilege – real-time data can make a big difference. By equipping a ready-to-go Energy-Smart Home, home builders make their customers job-ready to make the best of today’s increasingly multi-faceted energy marketplace, and to be prepared for future change as well; while at the same time gaining unprecedented insights into how the homes they build actually perform. There’s also a first-mover/early-mover opportunity to generate PR and show industry leadership. Until this decade the vast majority of Australian homes had a simple relationship with the energy system. Homes were connected to the electricity grid, and often to the gas network as well, and the energy flowed one-way into the house or apartment as it was being used. Bills were sent for power and gas every quarter, and people paid these like a tax; a necessary evil over which they had little if any control. Prices were relatively low, however, so people grumbled a bit at bill payment due-date time but mainly just got on with their daily lives. The telephone bill often was much scarier. Then electricity prices went on a run that has seen them roughly double over the past decade, and gas prices are well on the way to trebling. At the same time the cost of rooftop solar PV systems, which allow households to generate their own renewable energy from the free fuel sunlight, was falling and now for many homes it’s less expensive to produce your own electricity than to buy it from the grid. Some homes even sell their electricity back into the grid, and others can get paid to participate in programs where they reduce their electricity consumption at times of peak demand on the grid to help the system to keep operating without blackouts. Whatever you want to do in the new energy marketplace, having the power of data in your hands will help. That’s what we mean by an Energy-Smart Home. In 2007 there were only about 10,000 Australian homes with rooftop solar. By 2018 there were nearly two million, a world record, and the number keeps growing. Big change in the energy marketplace is far from over, and living in an Energy-Smart Home prepares you to deal with whatever is coming. With rising costs increasingly pricing gas out of the residential market altogether, electricity data helps households to be ready and in-control for what promises to become an all-electric era. There’s never a better time to install a Wattwatchers device than when a home is being built. A Wattwatchers device installed by the electrician at a single-phase wired site* can monitor up to 6 individual electrical loads e.g. main grid connection (for import and export), solar PV, hot water, air-conditioning unit, granny flat, pool or spa pump, kitchen circuit. Add the control option to remotely switch circuit-based loads for a modest additional charge. FOOTNOTE: The Energy Data Papers by Wattwatchers is a Wattwatchers Digital Energy team series that we’ll be running irregularly throughout 2019 and beyond.